Carbon Copy Magazine just reached its 21st issue and in celebration, British singer Conor Maynard is the cover star, photographed by Winter Vandenbrink and styled by Danyul Brown. The singer, who has just returned to the spotlight with a hit single ‘Talking About’, also talks openly in an interview about collaborations, social media and fashion. Also check out the short fashion film produced for the issue below. Limited edition print and digital versions are available from the links below. 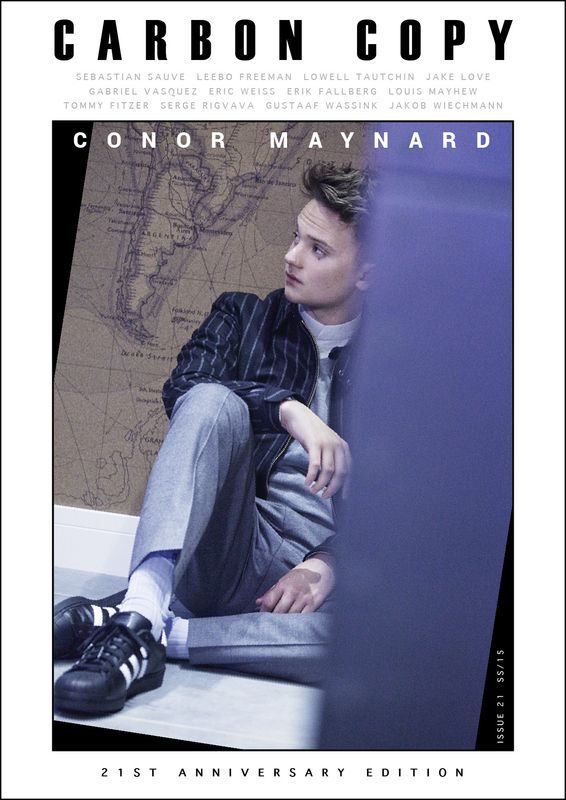 *Print orders cnclude FREE worldwide shipping, a FREE Carbon Copy 2015 Anniversary Notebook + FREE limited edition exclusive square print of Conor Maynard.